Sqn Ldr Gerrish Presents Cadets with Their Bronze DofE Award. 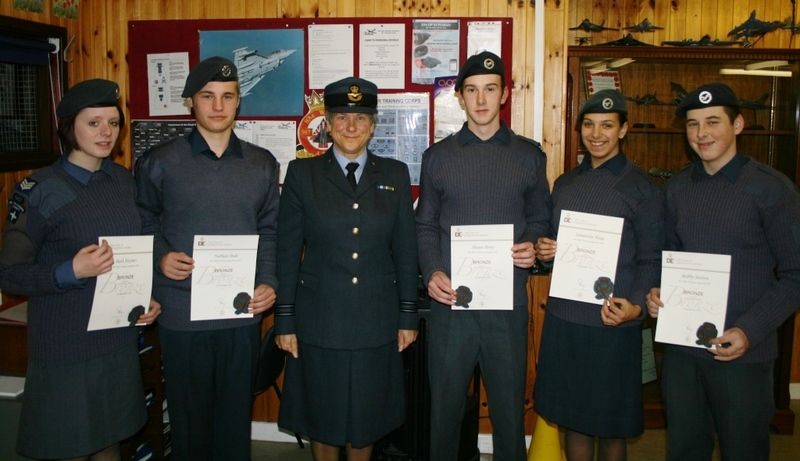 Squadron Leader Helen Gerrish recently took time out to visit 967 Sqn and present 5 Cadets their Bronze DofE awards. Sqn Ldr Gerrish is not only the Wing DofE Officer but is also responsible for the DofE process and management for the whole ATC. Sqn Ldr Gerrish was delighted to be invited to the Squadron to present the awards and it was the first time she had ever been invited to do so. 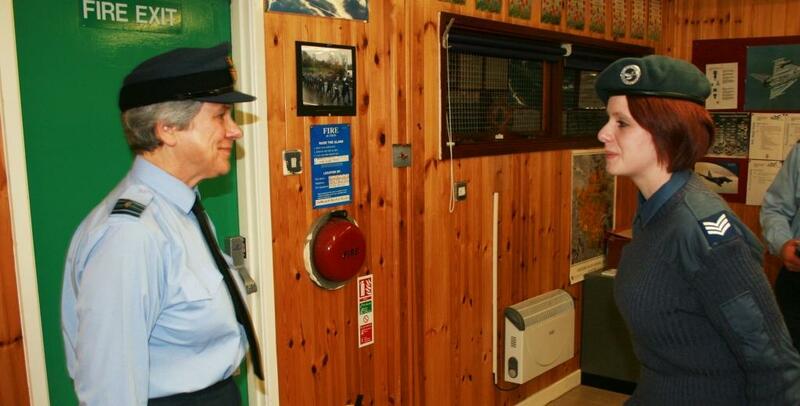 On the same evening it wasn’t just the Cadets were got a visit, Lt Col Mike Gerrish visited the Squadron to talk to the staff about the new eDofE record system. The Duke of Edinburgh’s Award is a voluntary, non-competitive programme of activities for anyone aged 14-24. eDofE enables them to record their intended aims, track their progress and upload evidence of their achievements. This training will allow the Squadron to start using eDofE to its full potential and allow all participants to take more of a lead in their own DofE activities. 967 were also able to host staff from 2454 Warbreck and 2486 Lytham Squadrons who were able to attend this invaluable training. 967 would like to thank both Sqn Ldr Gerrish and Lt Col Gerrish for taking time out to visit the Squadron, we hope you had a great night!